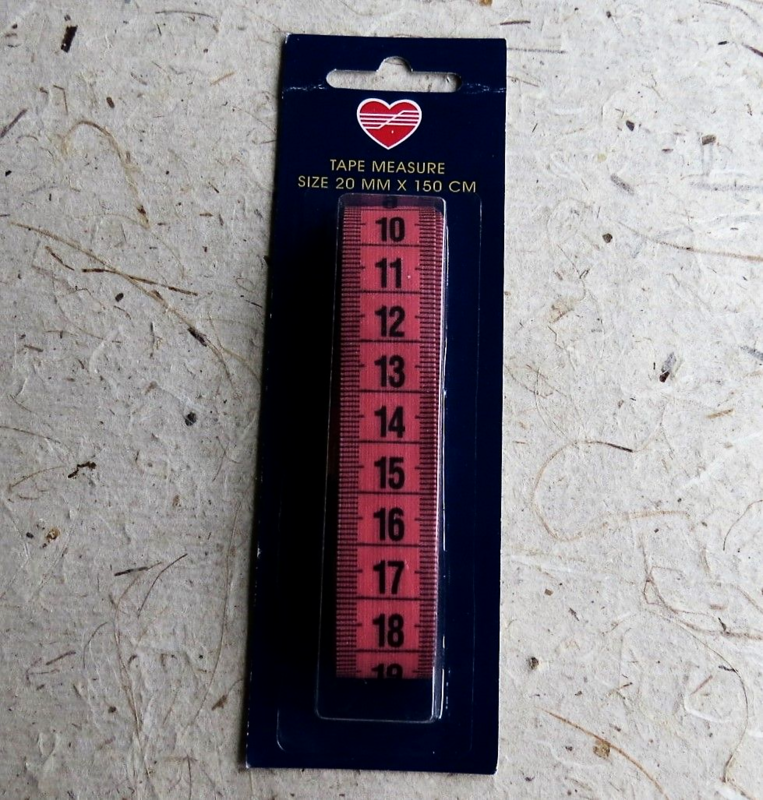 One metric tape measure, 150 cm long. The length is shown in centimetres. 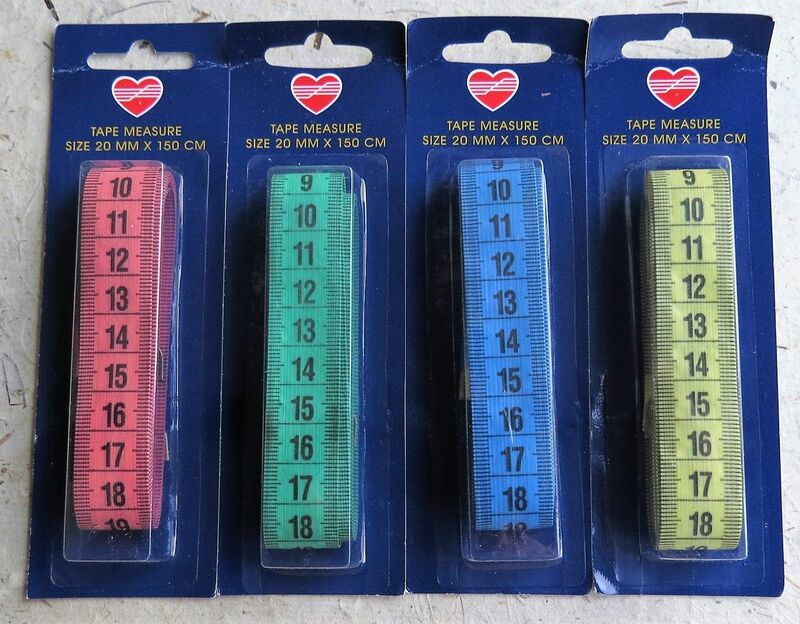 An indispensible item for every sewing box and for all knitters and crafters. The colour may vary from that in the picture as various bright colours are available.